We've taken pride in providing air conditioning and heating contractors, as well as, homeowners with the highest quality, custom made Air Conditioner Covers available anywhere for over a decade. 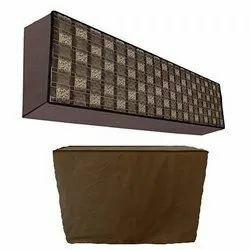 Every air conditioner cover - from the initial design layout, to the pattern cutting, to the sewing - is constructed by hand, to the exact specifications of your specific air conditioner condensing unit. This matters to you because many of the more generic, lesser custom covers are going to fit these new units very poorly and provide substantially reduced protection. So be safe, protect your A/C with a high quality custom cover from Us that's guaranteed to fit regardless of size, age, brand or SEER rating. 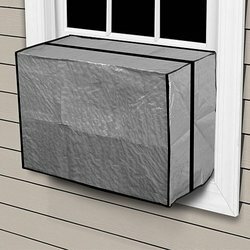 Being a quality obsessed organization, we are offering our clients a unique and colorful collection of Window AC Covers. This collection is different from the others not only because of its designs and patterns but also because of its stupendous features. 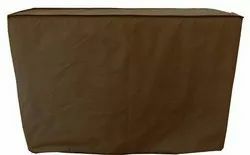 Giving optimum protection to the AC's during winters, these covers have been fabricated using premium grade raw material. Nominal prices have been put upon all our products. Being aware that impurities and dust can hamper the quality aspect of air conditioner, we are engaged in manufacturing AC Covers. These are thick easy in use, cleaning and maintaining. Being strong in quality, these are resistant to any damages.